Wow, @tamim dropped $1.1M into Steem Power last week. That's... a lot of money. @alpha took out over $800k this week. Looks to be an account that was mined into existence and given 200 STEEM "101, to be powered up" by @steemit1. Interesting. 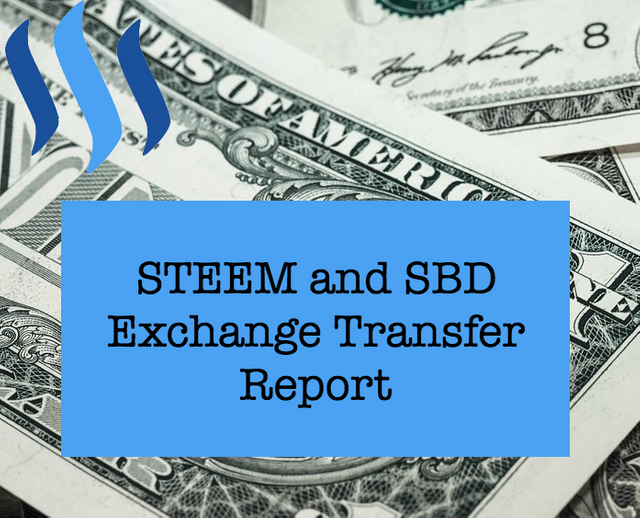 The previous run of this report included a transfer involving an exchange account that wasn't a normal exchange transfer representing outbound STEEM (see the comments section for details). I was able to run it again and ignore transfers which have no memo field at all. The withdrawal to deposit ratio went up a bit to 2.18 2.58 to 1 (adjusted after running the updated report), the highest we've seen so far since including Steem Power in the calculation, but still lower than I expected with all the HF19 mania. I wonder what next week will bring. The powerdown amounts for next week are in the green at 10.29%. I honestly thought it would be in the red this week. Are people finally starting to catch up to the power of powering up? I'm still unclear on the relationship between blocktrades and steemit. My fuzzy understanding is you provide a service by hooking your system into the steemit front end, for which steemit pays you and they keep your account with liquidity. Is that about right? Because you use your account like a "normal" steemit account as well as an exchange account, things get interesting. The other accounts on the exchange list don't comment, vote, or do personal transfers, as far as I can tell. Thanks again for helping me improve things. I'm traveling today, but I'll see if I can tweak this report with that change to see how the numbers change. I didn't realize this is how powering up would appear in the reports. Updated. Thanks again for pointing this out. Great report, really useful insights. Appears as though the price was held up by one user buying in big. Will be interesting to see what happens next if they don't make a similar purchase next week. I wonder who's pocket that 800k is going into... You'd think they'd be a bit more careful to hide the mining source! See the comment above. It seems alpha is blocktrades. Luke, thanks for the information. I feel like the light is finally turning on for me. Do many with large Steem Power accounts basically up-vote themselves a dividend on their investment every day? If so, Steem Power is going to become very valuable when more and more people begin to figure that out. The question I keep asking myself is "Is it short-sighted to selfishly up-vote yourself?" Does that kill the golden Steemit goose? Please let me know your thoughts. I'm not sure if he's 100% right, but in theory, anyone who owns SP can do what they want with it. It's kind of like buying a mining rig and then extracting an appropriate amount from the block rewards because of it. I saw that post as well. Thanks for responding. I am looking forward to your next vlog and appreciate your willingness to share and educate. Have a great day. Holy hell, 1.1M in Steem power? God, damn. That 800k withdrawal ain't no joke either. Thanks for sharing these statistics! I did not have any idea that there were people with that much staked into Steemit. Pretty crazy! Check out blocktrades comment above. It seems that 800k was actually a deposit for powerup. For a while, I was showing up on the biggest deposits list. Now, I've been on the biggest withdrawals list for a bit. I won't show up on either list for some time, but you can bet that the next I am, it'll be the deposits one. Thanks, I have a bit more of a feel of what is going on! 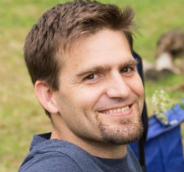 @lukestokes: Thank you so much for finding time to share an insight view, really appreciate that. Upvoted! Great breakdown Luke. I think that there is a much bigger incentive now to power up since our votes are worth something. There's a group of people on Steemit that fit into a category that is between dolphins and minnows, I guess you could call us guppies, and I think I fit into that little niche with the amount of SP that I have. We have benefited immensely in our voting power with HF19 (and so did the newbie minnows who can chip in a penny or two now on an upvote), so I think it's easier to see the tangible benefit of holding SP. You can get your friends to come on the site, set up an account, and you can upvote each other's posts with the knowledge that you're both guaranteed at least a little bit of a payout for your content. Whereas before only large whale or dolphin accounts could see whole dollar amounts for an upvote, now people with only a few grand are able to do that. In my example, my 100% upvote went from averaging 6-7 cents with 100% voting power to around $2 after HF19. 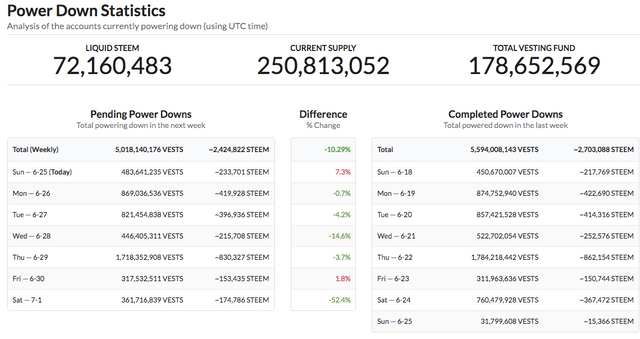 I powered up all of my Steem long before any of this was even being talked about, but I'm liking my decision a lot more now that I see the changes that HF19 made happen. wow one million deposit :)🚰 more power to steemit . I always search my name aming those lists!!! These are always interesting reports. I'm always amazed at the size of some of these deposits and withdrawals. Wow, this is great information I didn't even know existed! It looks like people are staying neutral with Steemit which is definitely not a bad thing. It's makes you wonder where some of those people get that money (tamim), but I won't complain for someone depositing anything lol the more the merrier! Man you're a hero. I don't know how you do all this, but you got my huge admiration. I learn something new with each of your articles @lukestokes bro! Loved seeing the Alpha cashing out million bucks, just like that :D Makes me love crypto! Much Love! Check the comment from blocktrades above. That was actually their account and it's powering up! I'll need to adjust this report to account for non-exchange transfers to exchange accounts. Good to know Luke. Thanks. Still great to see that people live off Steemit comfortably, the hard work pays off.! Wow.... $1.1 million? That's a serious chunk of change... and not a new account. I'd like to think HF19 is encouraging people to power up since it's easier to have more voting influence, but I guess we'll have to wait another week to truly see where the dust settles. Thanks for the report; useful and interesting as always!